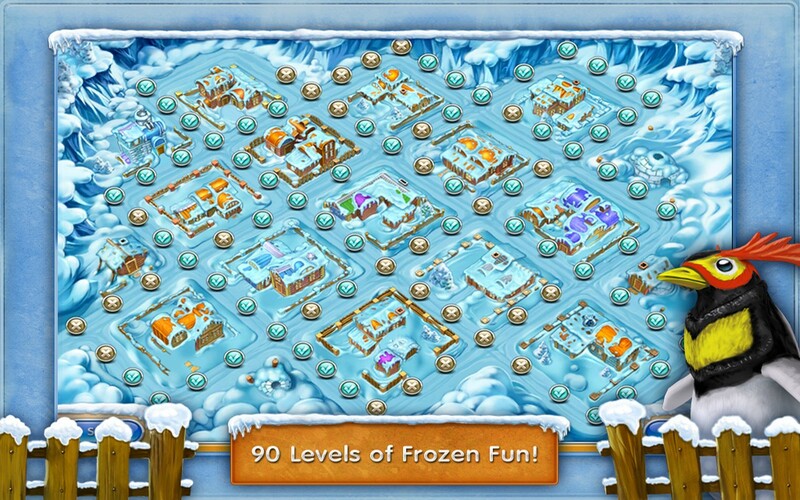 Get ready to snowball your way through frigid levels of snowy goodness in Farm Frenzy 3: Ice Domain! 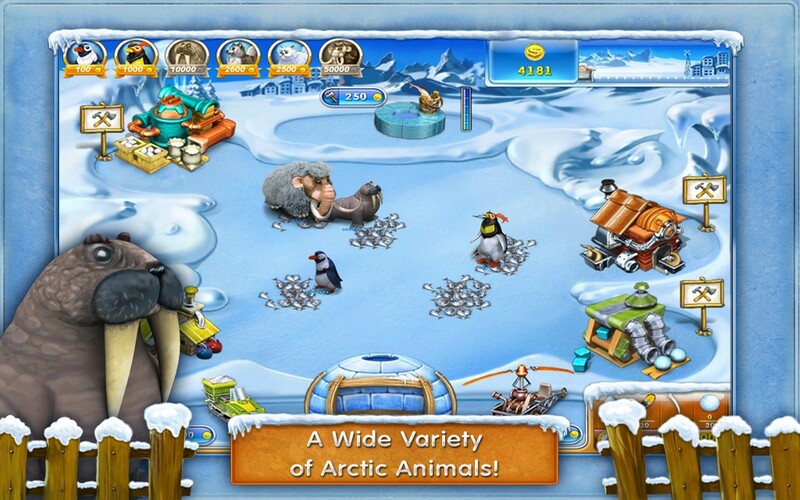 Trade in those cows and chickens for mammoths and penguins as you traverse the frozen lands of the North Pole! 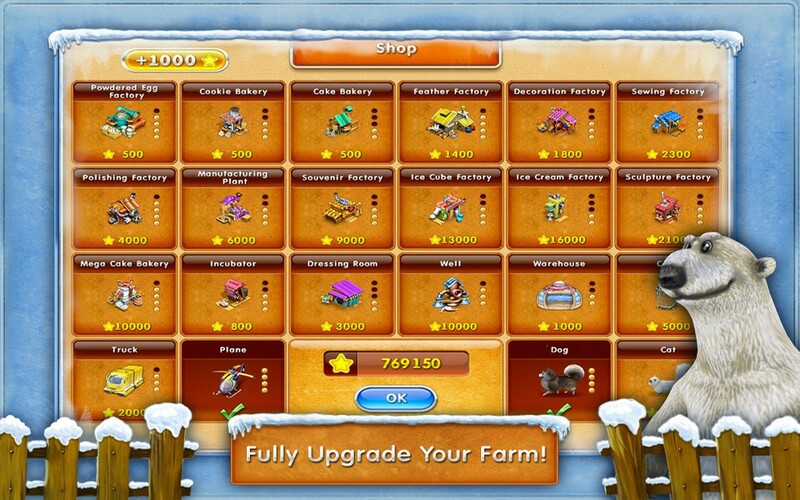 Who could have imagined running a farm on top of the world would be this much fun? Scarlett is at it again, this time taking an adventure to the far reaches of the planet....the North Pole! 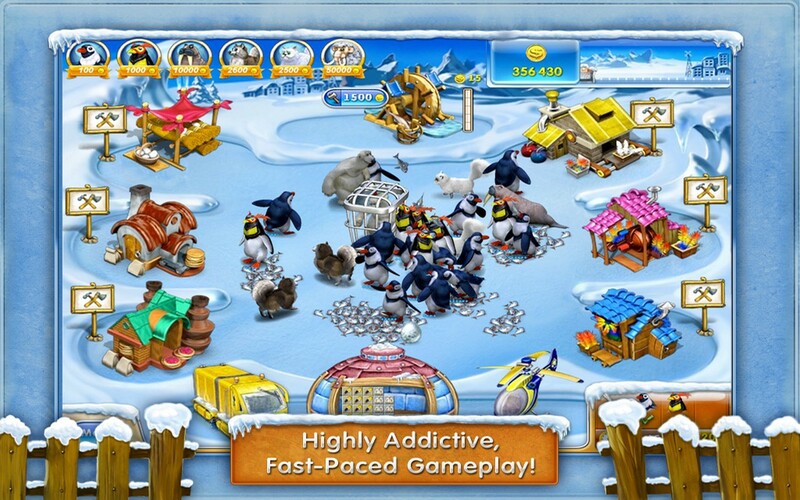 Make your way through 90 amazing levels, packed with everything the chilly Arctic has to offer: penguins, mammoths, walruses, you name it! If you thought farming was fun when the weather was warm and dry, just wait until you try your hand on the ice! 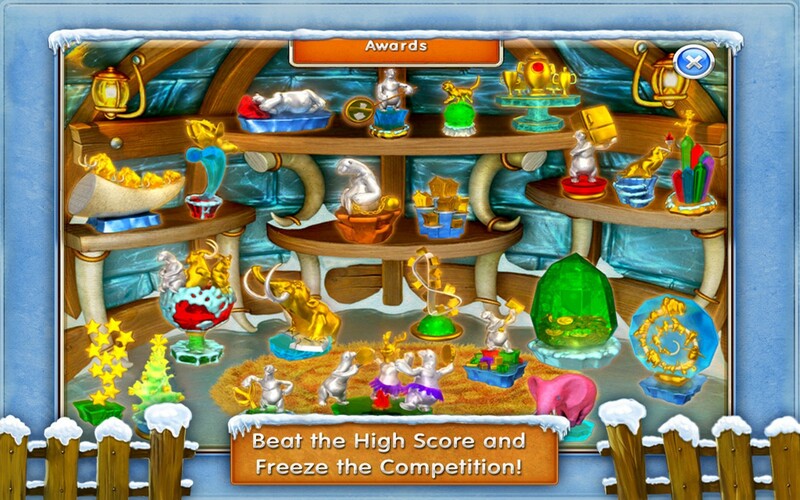 Challenges galore, breathtaking graphics, and quality of gameplay like no other! 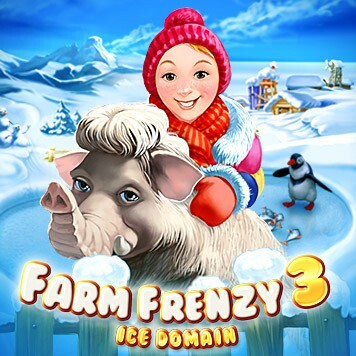 It's time to chill out with Farm Frenzy 3: Ice Domain!